I am loving H&M new Spring- Pre Summer campaign. If you love street style fashion then H&M have created a brand new collection which is inspired by four of the fashion industries leading models. The street styles of models Joan Small, Daphne Groenevled, Lindsey Wixson and Li Wen have inspired this 'New Icons' range that is due to hit stores in April, said to be offering a mixture of pieces inspired by different influences, so the shopper can create their own off duty model look. The four beauties will also star in the campaigns for the pre-summer collection, as shown above. Below are a few pieces that will be available in the collection from April. 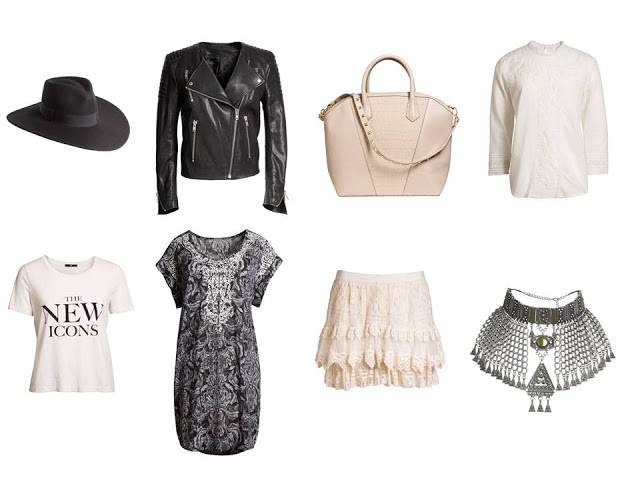 What do you think, will you be buying any of these items for your wardrobe?